Edgar, as he was known, was born in Swindon in 1888 the third and last child of Macfarlane Davies and his wife Sarah née Cane. His elder siblings were Margaret Macfarlane (born 1883) and Charles James (1884). Despite being born in Swindon Edgar was born into a very well known Newbury family; his grandfather James Jeremiah Davies had opened a china and earthenware shop in Northbrook Street in 1847, moving in 1852 to number 63. Older Newbury residents have lasting memories of the shop, which closed in the 1980s, and the large grapevine which grew in the old conservatory that formed a part of the store. At the time of Edgar’s birth his father was working as a grocers’ traveller (selling manufacturers’ products to grocers) and living at 30 Lethbridge Road in Old Swindon. By 1901 the family were in Newbury, living above the shop at 63 Northbrook Street with Macfarlane seemingly taking the lead role in the family business (J J Davies & Sons); however, his elder brother (Philip Edward) was still very much in the firm, but living elsewhere. Successful shopkeepers were increasingly moving from the premises to modern properties away from the town centre. 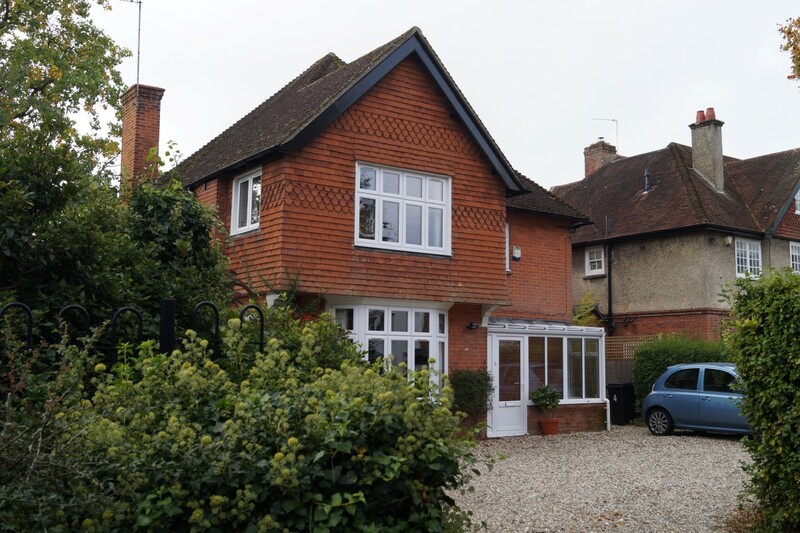 Macfarlane was no exception and moved from the store to a house known as St Osyth in Buckingham Road. Young Philip was educated at the Wesleyan (primary) School a few yards from the family shop and then Newbury Grammar School (1901-1905), where he excelled scholastically matriculating at the age of sixteen. After a period working for the Borough Accountant’s office in Newbury Edgar took a job as Assistant Magistrates’ Clerk in Mortlake, Surrey becoming articled to Mr O Edmonds of Clifford’s Inn. He moved to Richmond (19 Selwyn Avenue) and later to 33 Carlton Road, East Sheen. As the war impacted on the local courts, also became responsible for the running of the Richmond Borough Magistrates’ Court. Edgar enlisted in October 1915, at a time when there was a big push for recruitment in a desperate and ultimately futile attempt to stave off the introduction of conscription. To promote this effort the Newbury Weekly News printed in their 11 November 1915 edition a list of those enlisting in the last week – which included P E Davies. Those signing up have a choice of immediate enlistment or to attest under the Derby or Group Scheme – which would delay their actual enlistment until they were called up with their group. Edgar went straight into uniform with the East Surrey Regiment (10th Battalion) at Shoreham. His experience and talents were soon recognised and he was appointed as a company clerk and as a Lance Corporal. 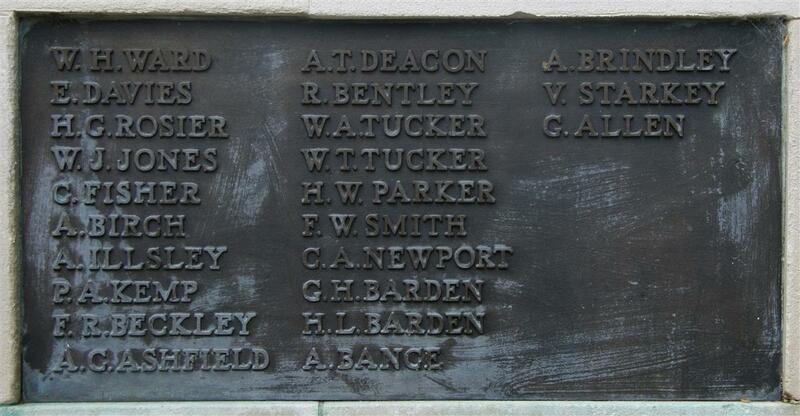 The battalion then moved to Dover and Edgar was promoted to Corporal as clerk for C Company. However, he did not spend all his time pushing a pen; he also qualified as a marksman. 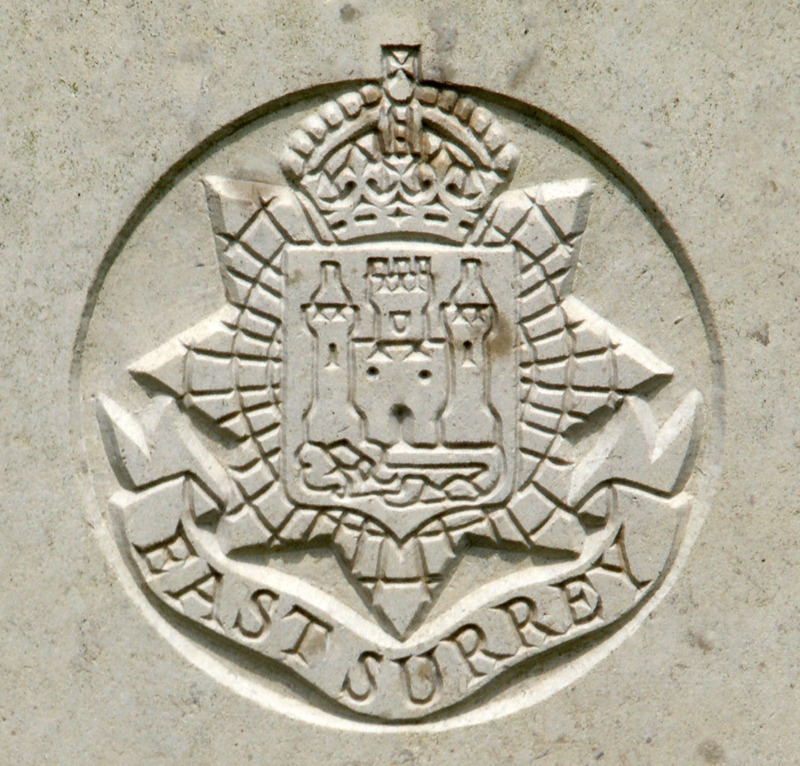 The regimental badge of the East Surrey Regiment, as used on CWGC headstones. The 10th Battalion was a Reserve battalion, training men in preparation for a posting to a combat battalion. Edgar was never posted overseas – a good clerk is hard to lose! As a result he did not qualify for any medals. He died in the Military Hospital, Dover Heights on 24 January 1917 from septic phlebitis related to an abscess on his neck. Sepsis – blood poisoning - was an ever present danger from even minor injuries and there was no reliable treatment before antibiotics became available in the late 1930s. DAVIES – Jan 24, at the Military Hospital Dover, Corporal P E Davies (Edgar), younger the dearly beloved son of Mr and Mrs Mac F Davies, of St Osyth, Newbury. We regret t record the sudden death of Corporal P E Davies (Edgar), younger son of Mr Mac F Davies, who died of septic pneumonia on January 24th, at the Military Hospital, Dover. He received his education at the Wesleyan School, and at the Grammar School, Newbury, matriculating at London University at the age of 16. After three years in the Office of the Borough Accountant, Newbury, he took the position of Assistant Magistrates’ Clerk at Mortlake, being articled to Mr O Edmonds, Solicitor, of Clifford’s Inn. During the war he had for six months the sole charge of Richmond Borough Court in addition to his work at Mortlake. He passed the Intermediate, and was reading for the Final Law Examination to be held in March 1916, but duty stood first, and he enlisted in the East Surrey Regiment in October 1915. His knowledge and business ability were soon appreciated, for he was appointed Company Clerk with rank of Lance-Corporal while stationed at Shoreham, and after the battalion was moved to Dover, he received his second stripe. Though naturally studious, he took great interest in his new profession, as was evidenced by his qualifying as a marksman. His interests were very varied; he was a keen literary student, a fluent linguist, an authority on architecture and archaeology, and a real lover of the “Open Road,” having toured on several holidays by cycle and on foot, through the greater part of his own country, and also in France, Belgium and Germany. His death at the early age of 28, has been deeply felt by his many civilian and soldier friends, who were drawn to him by his sunny disposition and large-hearted nature. After military honours at Dover, the body was brought to Newbury for interment, and the funeral took place at the old Cemetery on Saturday last. The service was conducted by the Rev C V Pike, and the mourners were his Father, Mother, and Sister, Mr Philip Davies (uncle) and Mrs Bentley (aunt), his brother in the RFA, being prevented by illness from attending. Amongst those at the graveside were Mr Pettifer, Mrs S North, Mr Alec North, Mr Miller, Mr Waite, Miss Mortimer, Miss Read, and Miss Dyer. The arrangements were carried out by Messrs A Jackson and Co, Market Place. At the monthly business meeting of the Baptist Church on Monday last, the pastor, the Rev C V Pike, expressed the sincere and very deep sympathy of the church with Mr and Mrs Mac F Davies and their family. He referred to the exceptionally brilliant powers of Mr Edgar Davies, and the natural expectation entertained for him of a successful and useful life. In the Providence of God that expectation was not permitted a complete realisation, and to the Divine will they bowed. The Church endorsed the words of the pastor by an upstanding vote; and ordered that a minute, expressing their sympathy, be prepared and entered in the records of the church. Edgar is remembered on a number of local war memorials: the Newbury Town Memorial (as E Davies, tablet 6); the local Baptists Memorial in Newbury Baptist Church; the Newbury Grammar School Memorial in St Bartholomew’s School; and, of course, on the headstone on his grave in Newtown Road Cemetery.